#16. Cazenovia Old Mill. 44 x 36, oil on canvas, restored in 1980. "Gilbert Munger, 1900" lower left. 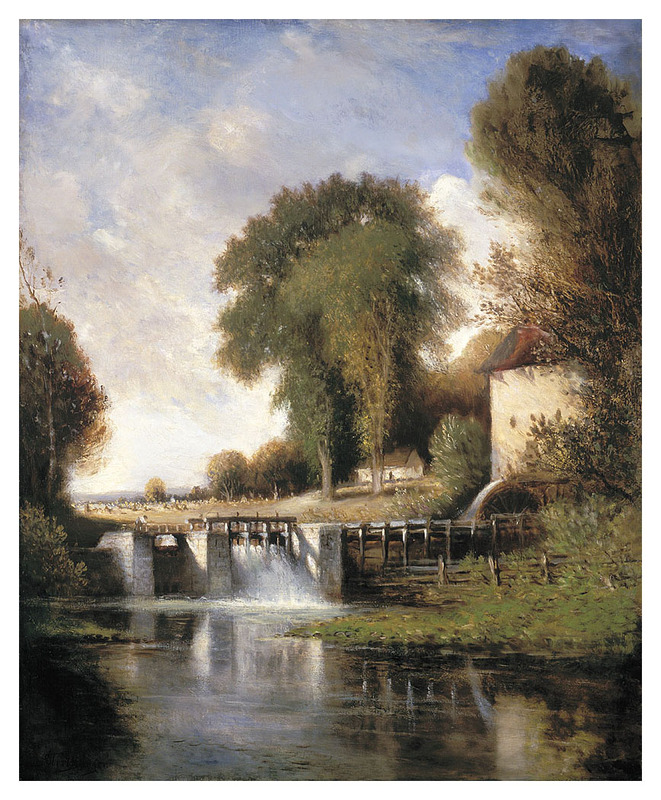 The dam depicted matches pictures of the Chaphe grist mill on Chittenenago Creek in Cazenovia NY. 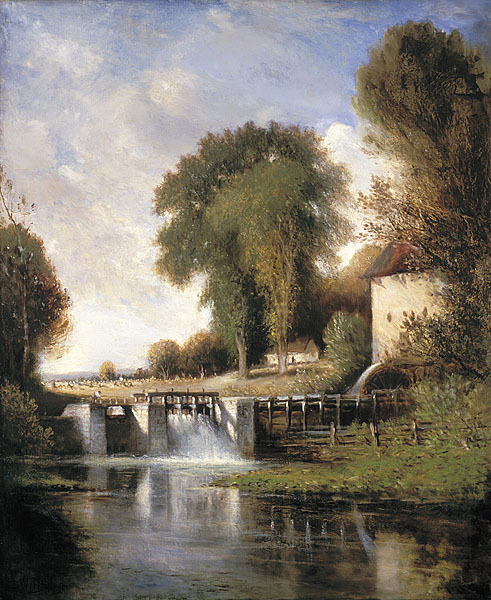 Munger painted in this area with his artist friend Dwight Williams of Cazenovia in the fall of 1900. Picture #113 also shows this mill. Gift from a Munger relative in 1960 to the Tweed Museum of Art, Univ. of Minnesota Duluth. IAP 25680070, QFD 66. See American Painting at the Tweed Museum of Art by Sweeney, 1982, p. 20. Image from that plate.